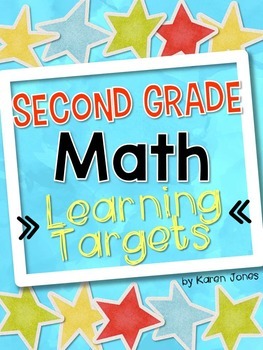 These posters are bright, easy to read, and contain standards written in developmentally appropriate terms for Second Graders. 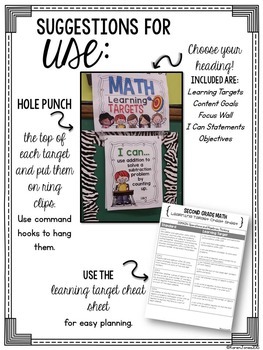 This pack is written and aligned to the Common Core Learning Standards. 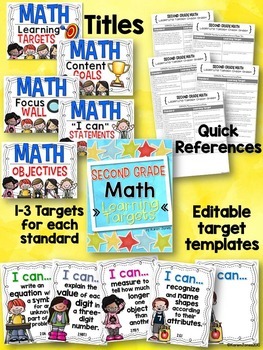 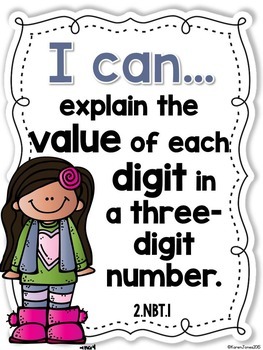 *Learning Target posters for ALL Second Grade MATH Common Core Standards, written as developmentally appropriate "I can statements"